When Triumph launched their Triumph Sprint GT SE in 2013 it helped to make touring bikes not only desirable but affordable. Alongside a 1050 triple, with 130 HP on tap and plenty of torque to boot, there were ABS brakes, a comfortable gel seat, welcoming heated grips and plenty of loading capacity. The Special Editions were finished in a rich champagne colour or a vibrant candy red. The bike rides well and is built for touring comfort. 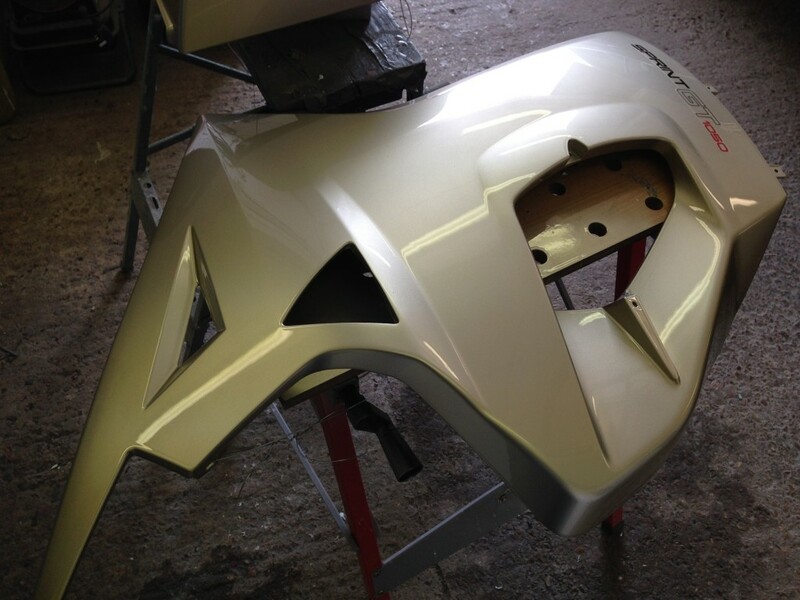 It also looks pretty neat: unless, that is, you happen to drop it and scratch and chip its fairings and panniers. Those panniers are always at risk on a touring bike: on the Sprint GT SE the capacious panniers actually stick out a good 7cm more than the handlebars. 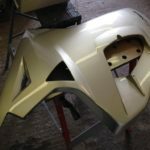 The bike that was brought into our workshop had suffered more than a little scrape navigating a tight space but we are always happy to provide a happy ending – and a perfect finish – to motoring woes. 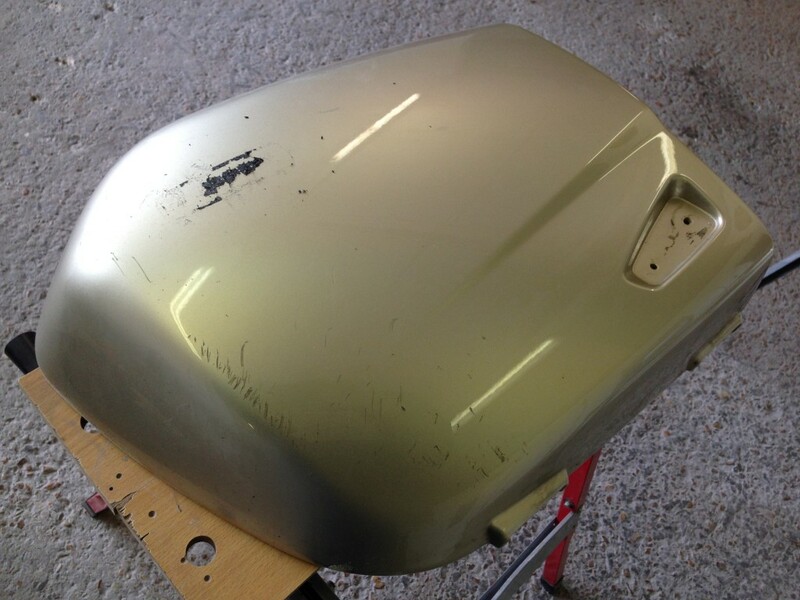 The extensive damage to the fairings and panniers first needed to be sanded out and filled. 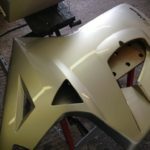 They can then be primed using a 2K acrylic primer surfacer that has been augmented with a flexible additive and activator. 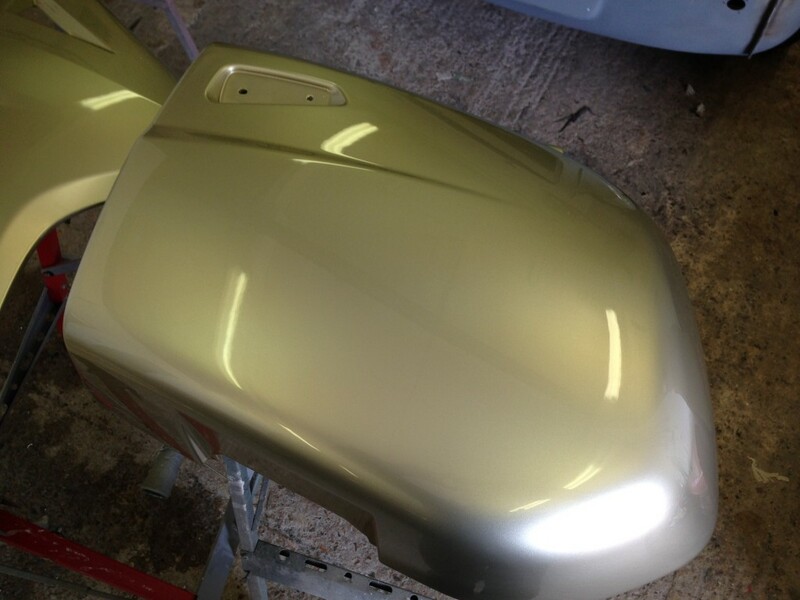 Once the primer is fully cured it is sanded smooth to create good surface adhesion for the basecoat. 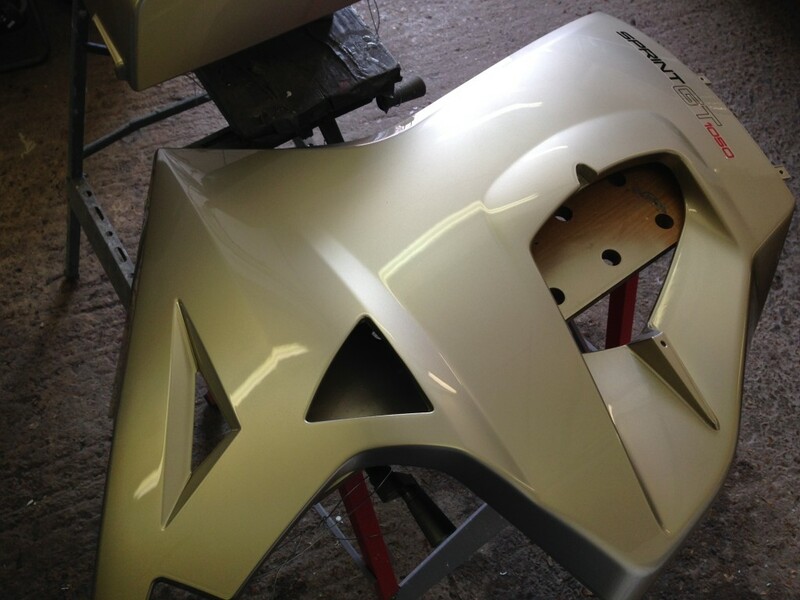 We use the latest waterborne basecoats to ensure perfect protection for your bike. 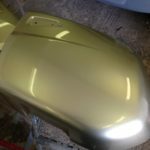 With the champagne coloured basecoat dry it’s time for the perfect finish. Your bike’s paintwork needs to shine like a mirror but still be tough as nails. 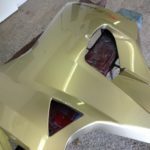 It needs to look great but also be prepared to play hard so only a really durable finish will do. 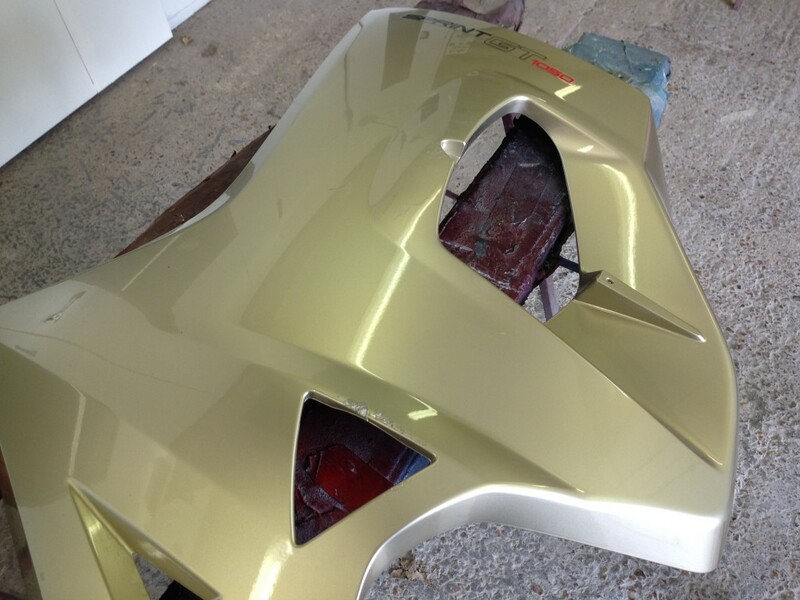 We use a 2K clearcoat (lacquer) that has been mixed with a hardener and a flexible additive. Speed is of the essence here because as soon as the hardener is added polymerisation begins. 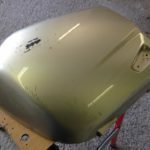 The lacquer begins to cure and harden which is exactly what you want on your bike but not in your spraygun. With a perfect champagne coloured finish its time to start celebrating: Dom Perignon anyone?